The country's top bureaucrat warned Jody Wilson-Raybould that Prime Minister Justin Trudeau was "quite determined" to prevent SNC-Lavalin's criminal trial from leading to job losses — and wanted to know why the then-justice minister hadn't used a new legal tool to allow the company to avoid a criminal trial. A recording made by Wilson-Raybould of a 17-minute Dec. 19 call between herself and Privy Council Clerk Michael Wernick was released today, along with 43 pages of emails, texts and a written statement from Wilson-Raybould herself which were tabled to the Commons justice committee. Wernick — who was not aware he was being recorded — told the minister there was "rising anxiety" over the fate of a major employer. "He's quite determined, quite firm," Wernick said of the prime minister's position on getting a deferred prosecution agreement (DPA) for the Quebec-based engineering company. "But he wants to know why the DPA route, which Parliament provided for, isn't being used. And I think he's going to find a way to get it done, one way or another." In her written statement, Wilson-Raybould explains why she recorded the call. She said she normally has a staff member present to take careful notes, but on this occasion she was alone in her Vancouver condo. "I was anxious to ensure that I had an exact record of what was discussed as I had reason to believe that it was likely to be an an inappropriate conversation," she wrote. "So while I typed out notes during the phone call, I took the extraordinary and otherwise inappropriate step of making an audio recording of the conversation without so advising the Clerk. This is something that I have never done before this phone call and have not done since." In her statement, Wilson-Raybould also sheds new light on why she resigned from cabinet on Feb. 12. Conservatives have suggested she was fired from the justice portfolio and moved to Veterans Affairs for refusing to budge on the SNC-Lavalin matter. But Wilson-Raybould said that while she initially thought she'd been shunted to Veterans over the SNC-Lavalin affair, decided to take Trudeau at his word. "After much reflection, I decided to take the prime minister at his word, that this was not the case, and accepted a post I was honoured to have as the Minister of Veterans Affairs and Associate Minister of National Defence," she wrote. That news conference came just days after the explosive Feb. 7 Globe and Mail story which first reported the allegations of inappropriate political pressure on Wilson-Raybould to intervene in the SNC-Lavalin case. When Trudeau was asked at that press conference about inappropriate pressure on Wilson-Raybould, he said she "confirmed" a conversation she had with him in the fall where he said any decision on the matter was hers alone. He said he was limited in terms of what more he could say because of cabinet confidentiality. "In our system of government, of course, her presence in cabinet should actually speak for itself," he said at the time. 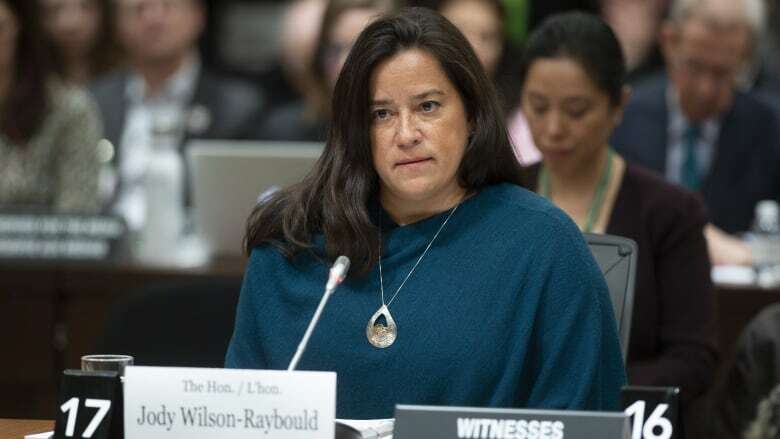 While Wilson-Raybould and former cabinet minister Jane Philpott have suggested there is much more to tell in the story, today Wilson-Raybould said she has now divulged all her relevant information. Conservative Leader Andrew Scheer said this is more evidence the prime minister has lost the moral authority to govern and must resign. "Justin Trudeau also told Canadians what he knew to be false," he said. "He knew that his attorney general had serious concerns about his plan to get SNC-Lavalin off of serious criminal charges. But he looked Canadians in the eye and told them that no one had raised concerns with him. This is false and he owes Canadians an explanation." When Wernick testified before the committee for a second time on March 6, he said he did not have "independent recollection" of what he said during a Dec. 19 conversation with Wilson-Raybould. "I did not record the conversation. I did not wear a wire. I did not take notes and that is not my recollection of how the conversation flowed," he testified. Wernick resigned as Privy Council clerk, the country's top civil servant, on Mar. 18, saying there was "no path" for him to have a "relationship of mutual trust and respect" with opposition party leaders. Wernick's first appearance in front of the justice committee was widely criticized by Opposition MPs and pundits as partisan for the way he defended the behaviour of various government officials. During the recorded call released today, Wilson-Raybould repeatedly stated that she thought the conversation with Wernick was inappropriate and that she wanted to protect the prime minister and the integrity of the government. 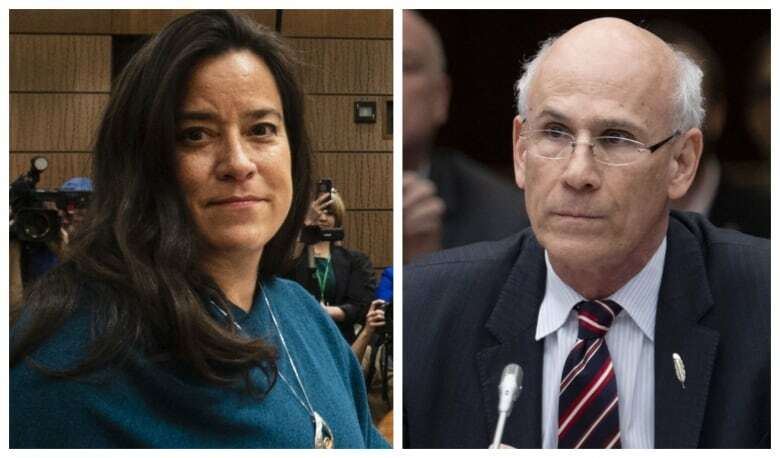 In his testimony before the justice committee, Wernick said that Wilson-Raybould could have raised her concerns about inappropriate pressure, but did not. Trudeau's spokesman, Cameron Ahmad, issued a statement Friday saying that the Prime Minister's Office was unaware of the full contents of the audio recording and now acknowledge that Trudeau "should have spoken directly with the former justice minister and attorney general about this matter — and he wishes that she had come to him." Ahmad said there has clearly been an erosion of trust "over the past few months" between Wilson-Raybould, Wernick and the PMO and that steps are being taken to improve cabinet relations. "All the facts are on the table now, and everyone involved has shared their perspective, including the prime minister. We are focused on moving forward as a team on the issues that matter to Canadians and governing in the best interests of the country," Ahmad said. In an interview with CBC Radio's The House to air Saturday, Conservative deputy leader Lisa Raitt said Wernick sounded uncomfortable, likely because he was doing something inappropriate in delivering the prime minister's message. "He didn't give her comfort. He didn't say, 'That's okay Jody.' He landed it with, 'Well I guess we've got nothing else to talk about,'" she told host Chris Hall. "So he is complicit in it. He threatened her job and he threatened her position. There's no question about it. And he did it on the behest of the prime minister. He may have sounded uncomfortable doing it, but he still did it." NDP Leader Jagmeet Singh said the fresh evidence is so compelling that a public inquiry must be called to get to the bottom of the affair. "The PMO has tried to spin this as a miscommunication or personal disagreement. What we see in this submission is a lawyer acting in her client's best interests to protect him from his own recklessness," he said in a statement. "The former attorney general repeatedly made clear to the prime minister and those around him that their inappropriate actions would be seen as political interference, and they ignored her." As attorney-general, Wilson-Raybould was acting as the government's lawyer and was bound by solicitor-client privilege. In Canada, it is not illegal for a person to record a conversation with another person without their knowledge — but it would be unusual for a solicitor to knowingly record conversations with a client without informing them first. Wilson Raybould was called to the Ontario bar in June 2016 under a section of the Barristers Act which entitles a minister of justice and attorney general of Canada or solicitor general of Canada to be called to the bar. Trudeau's waiver on cabinet confidence and solicitor-client privilege allows Wilson-Raybould to speak freely about events up to her departure as justice minister and attorney general. It does not cover the period when she remained in cabinet after being moved to Veterans Affairs. She testified on Feb. 27 that she faced intense, inappropriate pressure and veiled threats for refusing to overturn a decision by the director of the Public Prosecution Service of Canada to deny the Quebec-based construction and engineering company a DPA, and instead proceed with criminal charges. The NDP is pushing for an independent public inquiry, while the Conservatives have requested an RCMP investigation and Trudeau's resignation.